A sketchy trail climbs to the headwall above Castle Lake. Heart Lake is tucked into the rocks there. 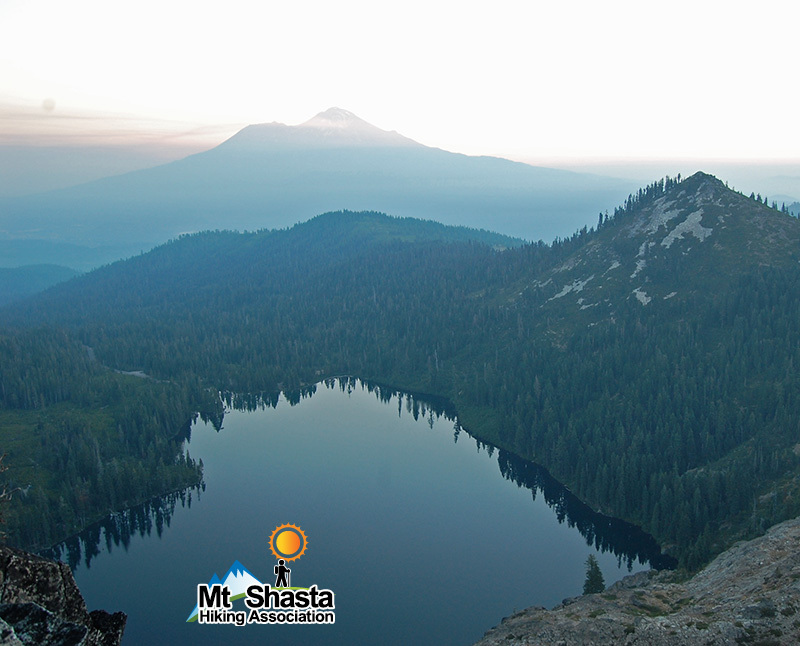 Mount Shasta rising high above the deep waters of Castle Lake is a memorable spectacle.